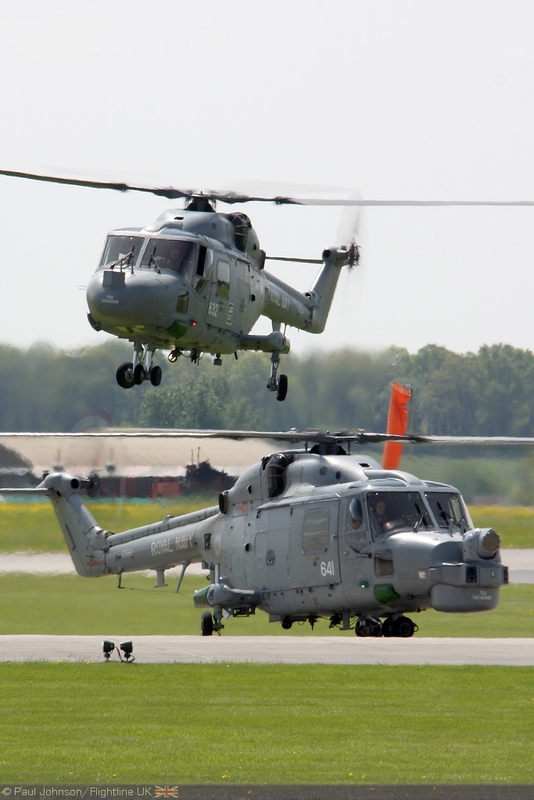 The 2010 Yeovilton International Air Day will celebrate, amongst other important events, the 70th Anniversary of RNAS Yeovilton itself. 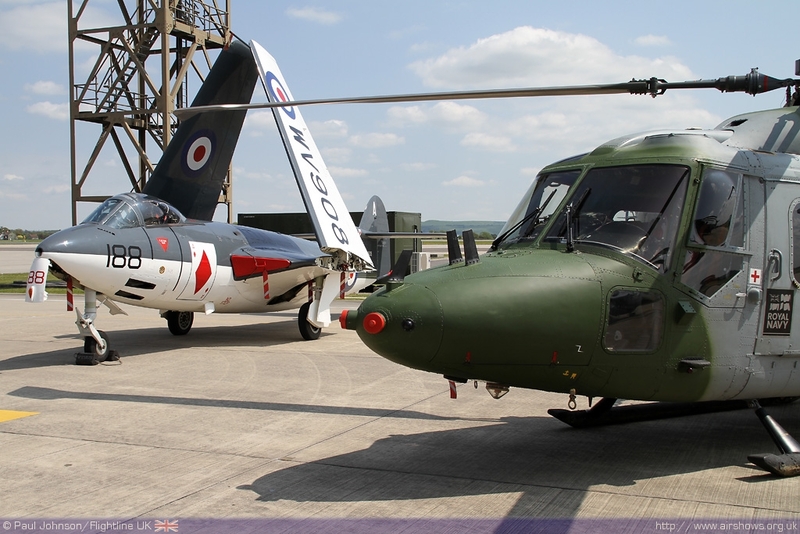 The past 70 years have seen constant action for Yeovilton, it's aircraft and personnel. 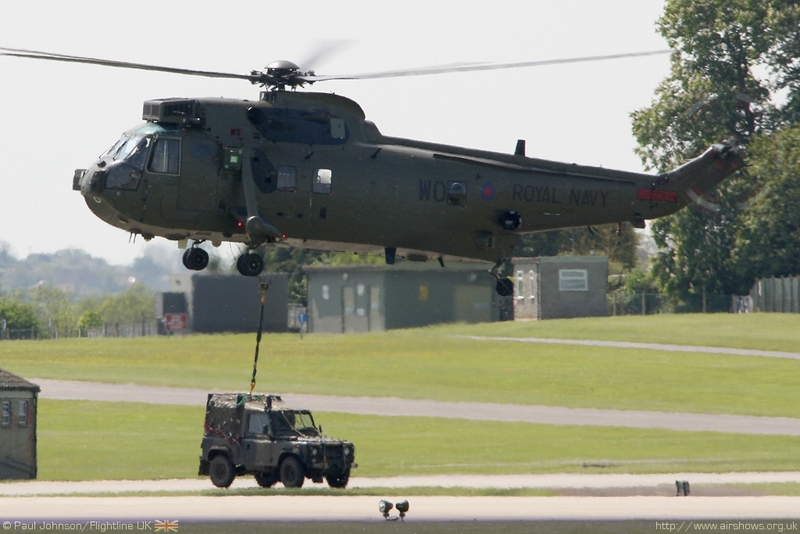 Today, as home to the Lynx and Commando Helicopter forces, RNAS Yeovilton is fully committed to supporting operations in Afghanistan as well as a number of other locations around the world on counter-drugs and counter-piracy missions. 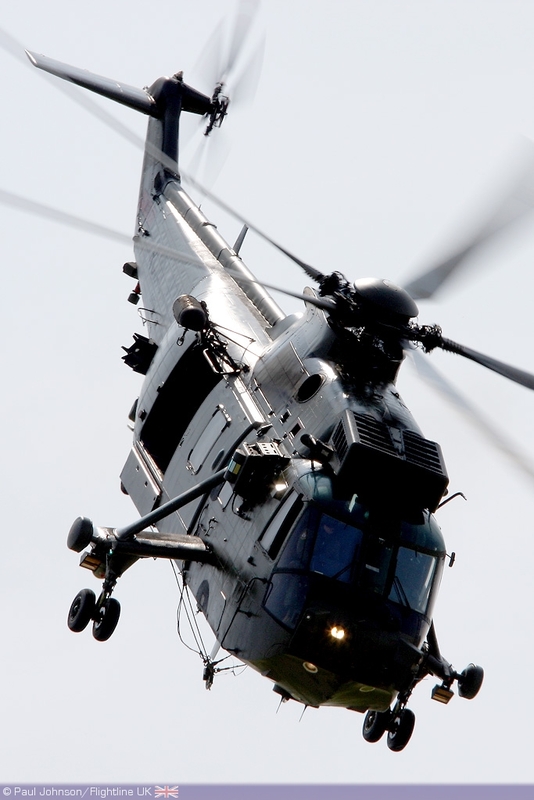 The annual Air Day is Yeovilton's shop window for the general public allowing a unique glimpse of the station's work as well as that of the other UK armed forces and allies. 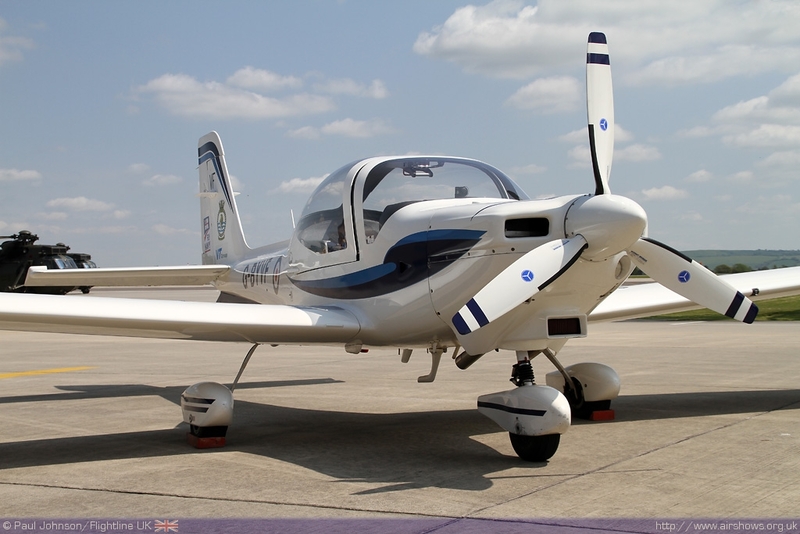 Paul Johnson/Flightline UK reports from the Press Launch on 18th May. All Photography copyright of the Author. Video highlights courtesy of Planes TV. 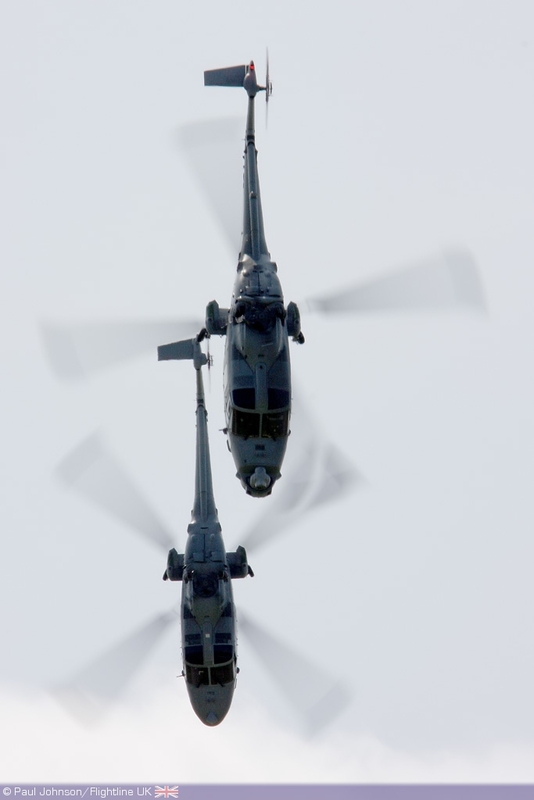 For the last two years, The Yeovilton Air Day has endured some pretty awful weather with strong winds, rain and low cloud bases. Hopefully, the weather at the Press Launch will be more representative of what we can expect this year for a major celebration of the station's 70th Anniversary which promises to one of the highlights of the display season. 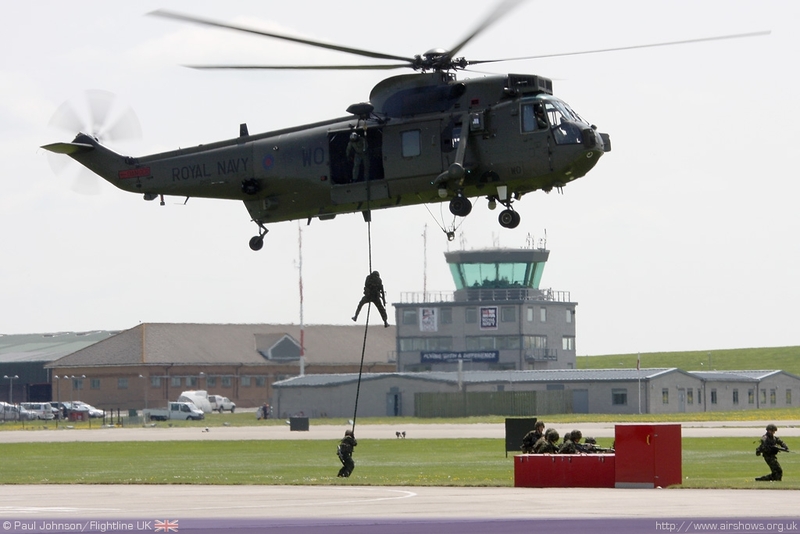 Today, Yeovilton is home to 4,300 personnel, 3,500 of which are from the armed services. 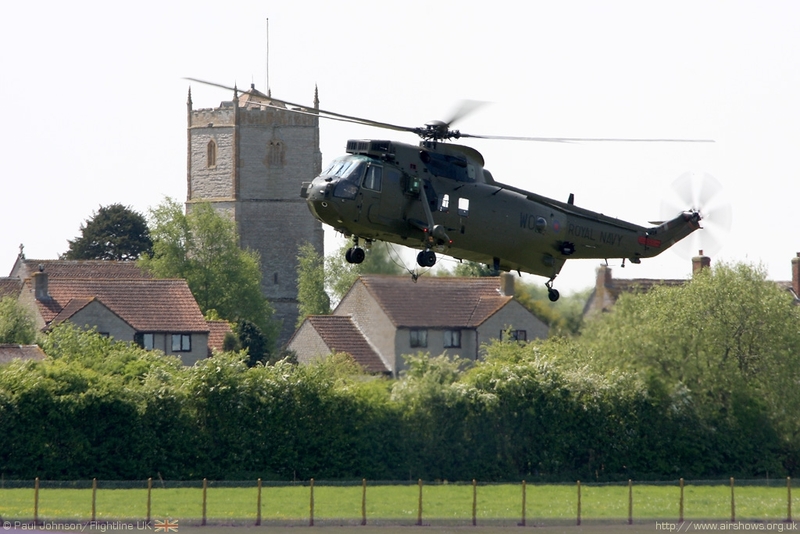 This most visible role of the station is as home to the Commando and Lynx helicopter forces which are deployed around the world on various operations including Afghanistan. As well as the station's anniversary, 2010 will also mark the 70th Anniversary of the Battle of Toranto as well as that for the Battle of Britain. The Royal Navy's role in the latter is often overlooked with Fleet Air Arm pilots reinforcing RAF squadrons throughout the battle. 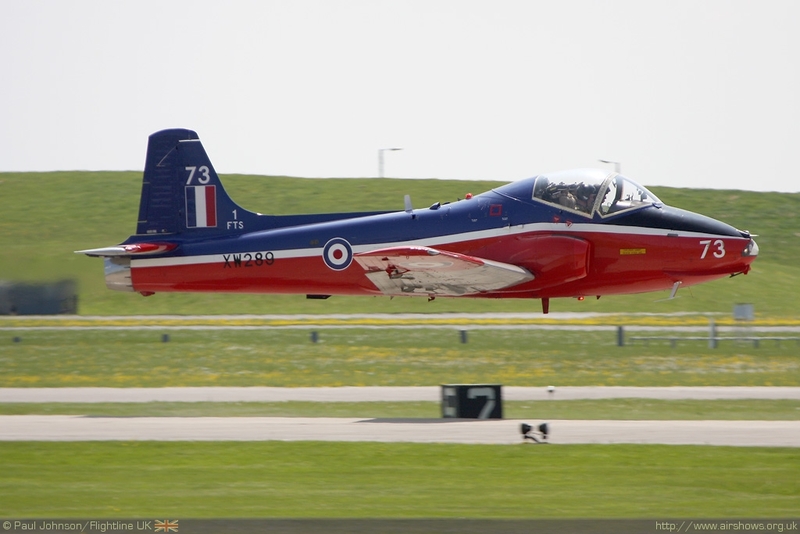 With so many anniversaries, it's unsurprising to hear that the Royal Navy Historic Flight (due to be back up to full strength in 2010) and other historic aircraft operators will be heavily involved in the flying displays and the static park. One of the stars of the flying will be the Shuttleworth Collection's Sea Hurricane Ib. It will be joined by the Supermarine Seafire XVII and Douglas Skyraider from Kennet Aviation. 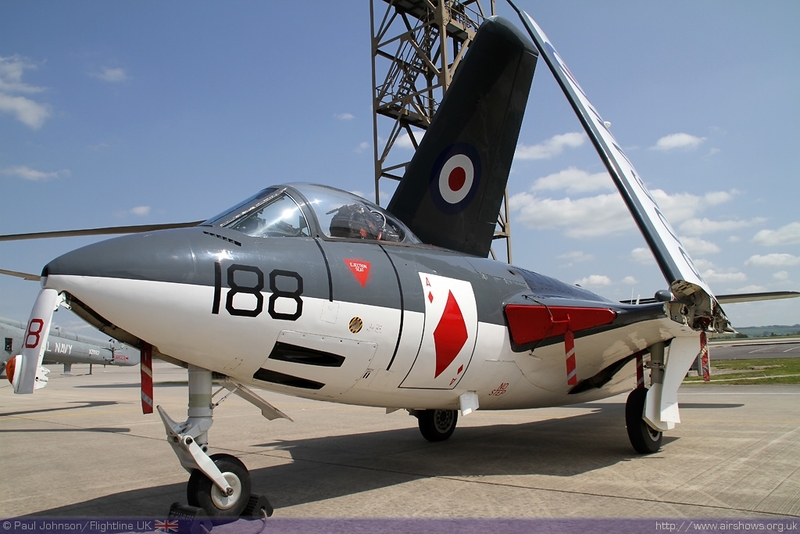 Some of the Fleet Air Arm's collection of aircraft will also appear outside in the static parks to paint as complete picture as possible of Yeovilton's busy history. 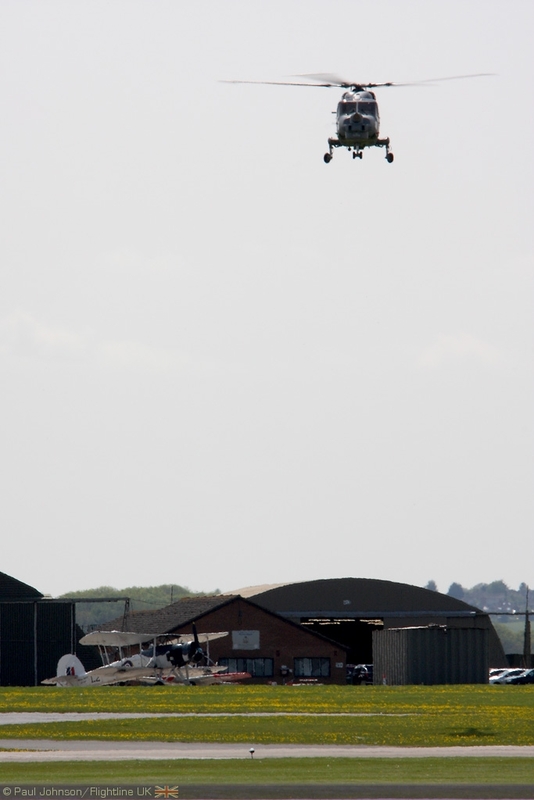 As always, the flying display will feature a wide variety of acts from the Breitling Wingwalkers to the Red Arrows. The Royal Navy will naturally provide a number of displays headlined by Yeovilton's own Black Cats led this year by Lt Becky Frater. 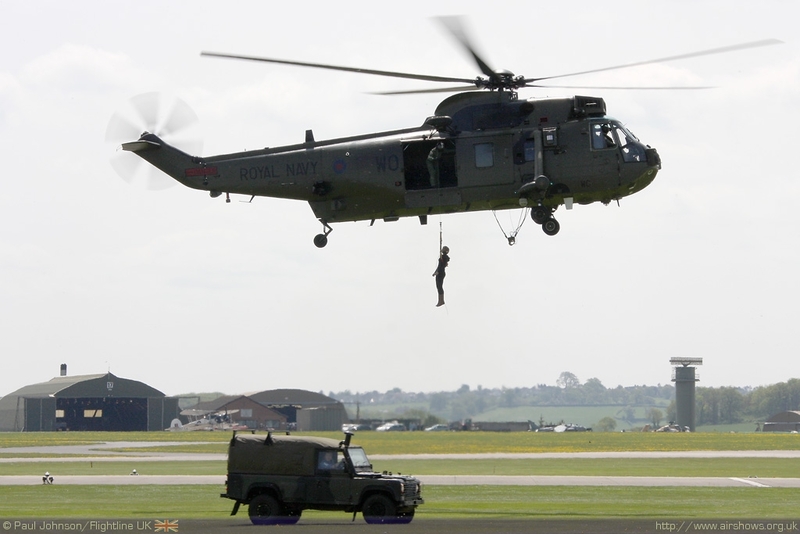 There will also be a Merlin HM1 from RNAS Culdrose as well as the traditional finale - the Commando Assault. This will see a number of Lynx. 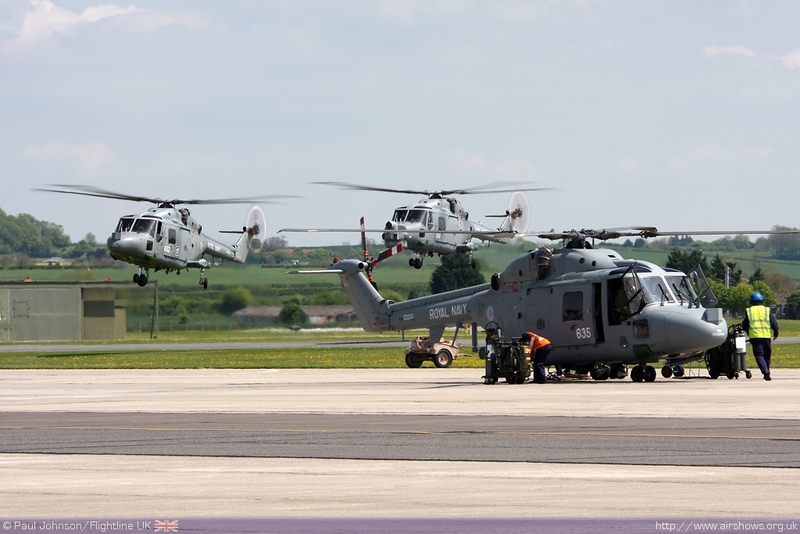 Merlin and Sea King helicopters joined by Harrier GR9s from the Naval Strike Wing. 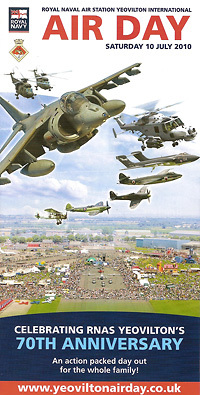 The Royal Air Force will also participate in the flying displays with one of just a handful of Harrier GR9 role demos. 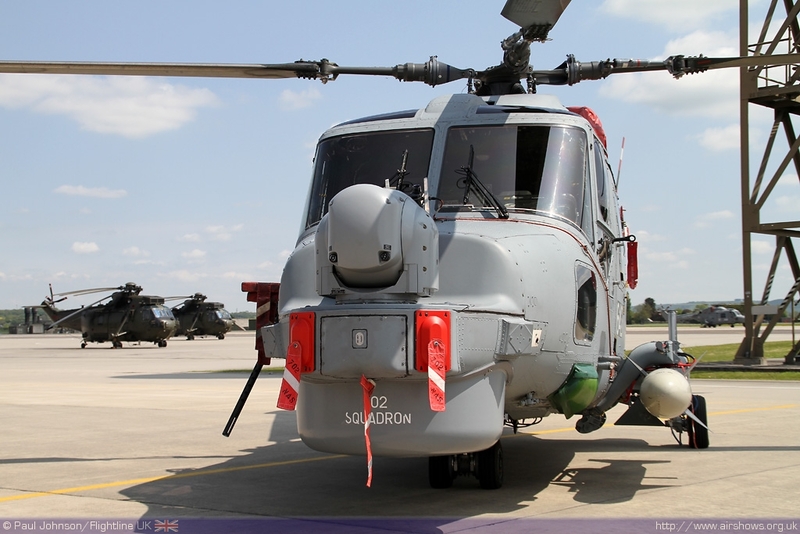 On top of the "home" team, Yeovilton will also host a number of European aircraft. 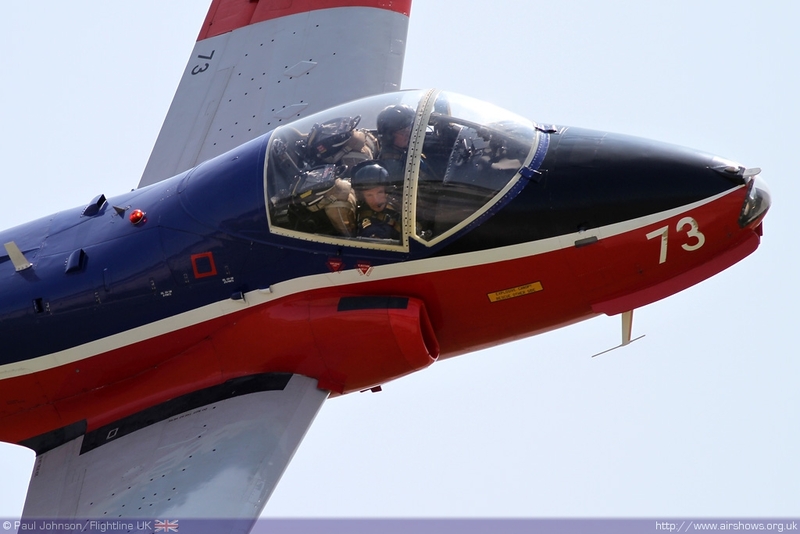 The Spanish Air Force Patrulla Aguila and Royal Jordanian Falcons will be displaying alongside F-16AM Fighting Falcons from the Royal Netherlands Air Force and Belgian Air Component. On the ground, there will be a rare chance to see a F-4F(ICE) Phantom II from the Luftwaffe as well as a Dornier Do228 and Lynx from the German Navy. 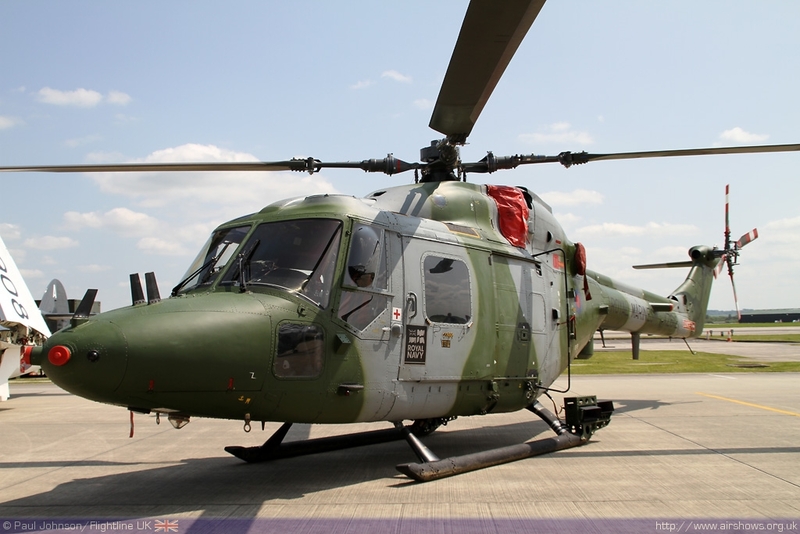 The Royal Netherlands Navy will also have a SH-14D Lynx. 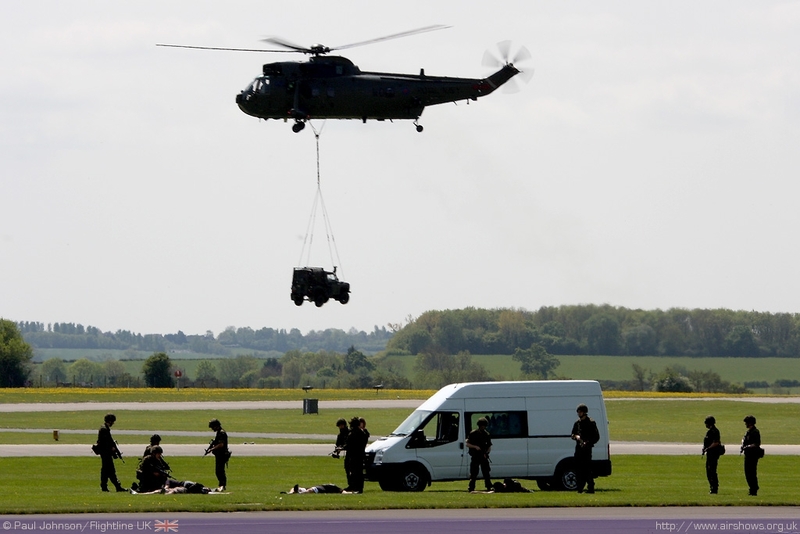 There will be a number of ground exhibitions from the Royal Navy and Defence Industry in the hangers. 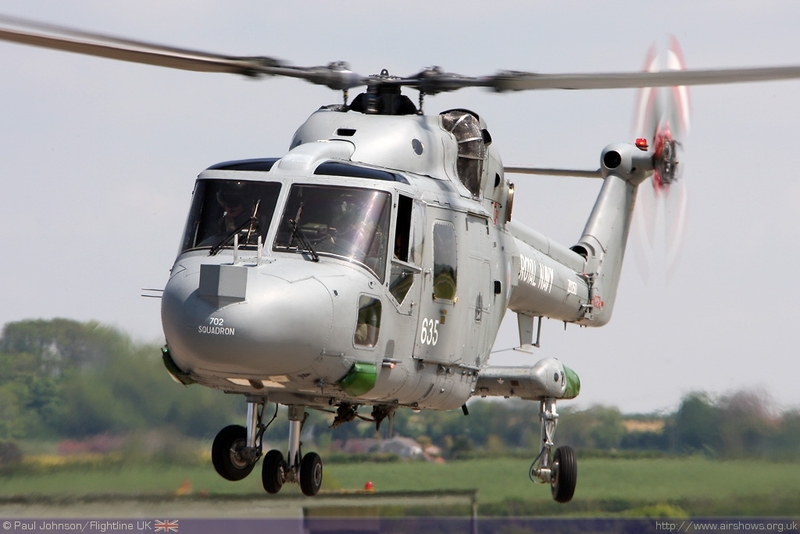 The new AgustaWestland AW101 helicopter will form the centrepiece of one of the hanger displays.